At A-1 Concrete Leveling and Foundation Repair, we take great pride in serving our customers quickly, professionally, and courteously. As you may be aware, we’re able to save our customers up to 80% compared to the cost of replacing your concrete outright. We’re known for everything from concrete driveway repair to fixing bowed walls to foundation crack repair. We are also locally owned and operated and we’ve been in business for over three decades. 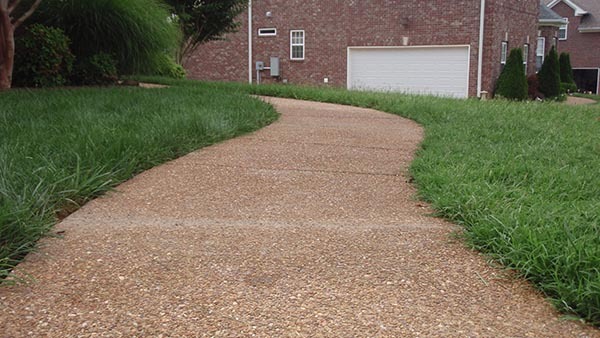 With a commitment to ensuring that people in the Nashville area don’t have to worry about their concrete-related issues, we are here to provide excellence in every aspect of our work. Our service area is made up of Nashville, Franklin, Murfreesboro, and Hendersonville, so if you’re in our neck of the woods, you can count on us to take great care of you. If you’re dealing with a crack in your foundation, an uneven walkway, or a sunken driveway, our team of experts can help to make sure you’re well taken care of. Mike’s glowing review that’s seen above means a lot to us because we strive to provide our customers with exemplary customer service regardless of the task at hand. No job is too big or too small for us and we are dedicated to providing friendly, respectful, and professional service from the moment you call for a quote to the moment the work is done. It’s as simple as that. 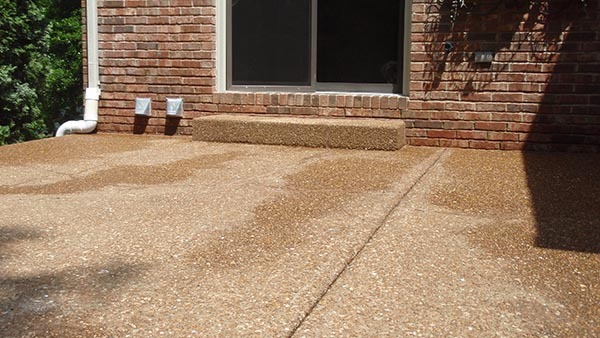 When it comes to concrete leveling and foundation repair in the Nashville area, we are the team you can count on to give you the best value for your money, hands down. There’s nothing that puts a bigger smile on our face than a job well done, so if you’re in the market for one of our services, we’d love to hear from you. Just fill out our form, let us know a little bit about the task at hand, and we’ll get back to you as soon as possible with a free estimate. Prefer to speak on the phone? Not a problem at all! Give us a call at 615-207-7103. We look forward to hearing from you! Driving home at the end of a long day and finding that there’s a big crack in your driveway isn’t something anyone wants to experience. 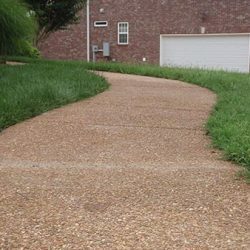 Walking out to the mailbox to see what you got from the post office leads you to notice that part of your sidewalk is uneven. A trip down to the basement to grab some seasonal decorations reveals a big crack in the wall. None of the issues above are particularly exciting for homeowners, but fortunately for you, the team at A-1 Concrete Leveling and Foundation Repair can help. Regardless of the situation you’re facing, you can count on our team of experts to take great care of you and fix the problem. Depending on the situation, we might even be able to get things fixed up in a single day. It doesn’t get much better than that. Being able to save as much as 80% compared to the cost of replacing your concrete outright is the icing on the cake. Our process can seem complex, but we’d love to provide you with a little breakdown of how it works. We start by drilling small holes in strategically chosen locations that are just about an inch in diameter. Next, we pump an environmentally friendly limestone aggregate concrete into those holes. This slurry flows underneath the slab and gently starts to raise it bit by bit. At this point, one of our experts can raise the block in question to a precise final location. Finally, we fill the previously drilled holes with a special grout, trapping the slurry below and ensuring that you’re all set for years to come. In many instances, our work looks just as good as–or better than–new. 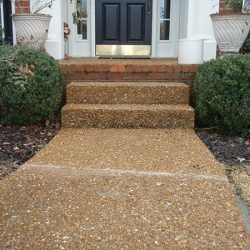 The end result is that you have a piece of concrete that is no longer an eyesore or a tripping hazard. And, of course, you can save big bucks in the process. That’s a win/win in our book! From foundation repair to floor supports to bowed or leaning walls, you can count on our team to handle it all. In short, if it’s made of concrete and you’re having a problem with it, there’s a good chance that we can take care of your situation quite easily. 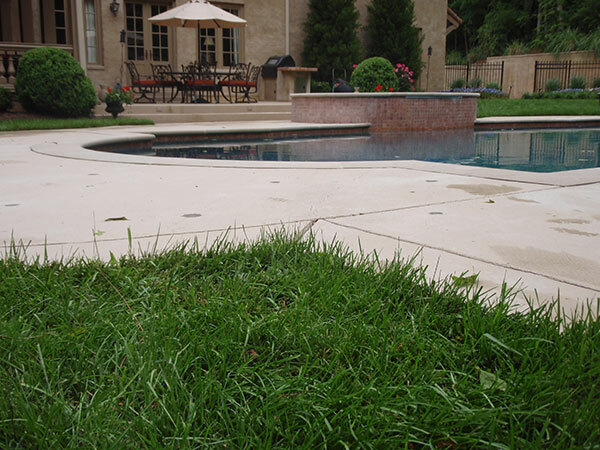 We believe that at the end of the day, you should be able to enjoy your space to its fullest without having to worry about any issues in your concrete. Whether they’re cosmetic or indicative of a bigger problem, we can handle the repairs you need to make your home a better place to live. One of the ways that we separate ourselves from the competition is by addressing the root of the problem rather than just the symptoms. 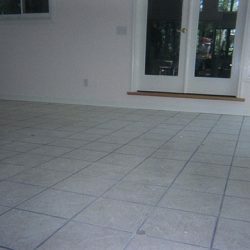 This ensures that you’re able to enjoy your concrete without having to worry about what is going to happen to it down the road. 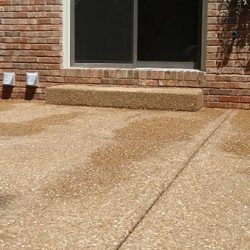 Whether it’s your driveway, sidewalk, garage floor, porch, patio, steps, or pool deck, you can rely on us to tackle your issue with a dedication to quality work, great customer service, and an attention to detail that’s simply unmatched. That’s all there is to it. “I had a large issue in the driveway of my home. Multiple cracks. It sounded hollowed as you stomp on it in multiple areas. WHAT THEY DID: They filled up the gaps inside. They repaired superficial cracks very well. They brought up the issue of how rain water could be coming under my driveway and causing more cracks in the future, unless prevented with some dirt leveling along the end of the driveway. I so appreciate the advice to minimize problems in the future! HOW THEY DID IT: On budget (assessment + pricing much better than their direct foam competitor!!!). Professionally (they were cordial; answered all questions before, during, and after the service; they were on time and handled the repair just as they said they would). 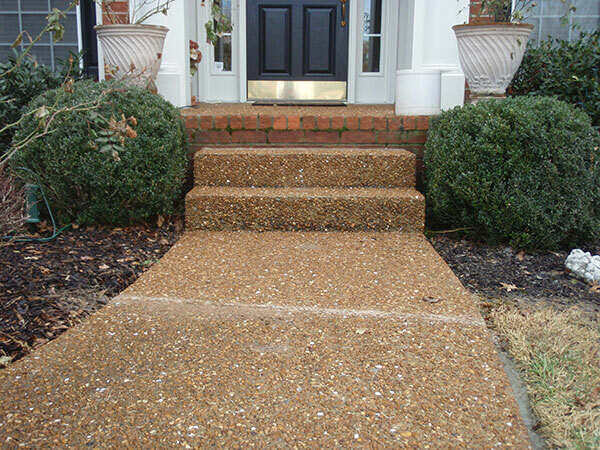 “We needed part of our front sidewalk leveled, and also porch stairs. 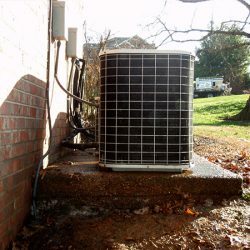 Rhett was on time for the estimate and thoroughly explained what had to be done, and how it would be done. No rush, willing to answer any questions at all. They called and had an earlier opening than promised so we got it done even sooner than we had hoped. 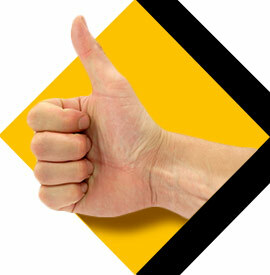 Regardless of the scope of work that needs done, you can count on us to take great care of you every step of the way. Just like Roxanne mentioned above, we love to explain the process to our customers and keep them in the loop throughout the process. We’ve spent quite a bit of time in our industry and in that time we’ve learned that it just makes sense to inform our clients about what we’re doing, because after all, an informed customer is often a happy camper. 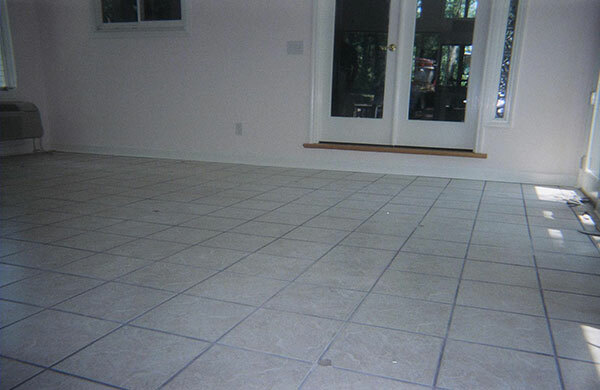 When you get a free quote, we ask that you provide us with a bit of information about the type of work you need done. We’ve even included the ability to attach up to three photos for our reference. Of course we don’t require you to do this, but if we can see the job that’s in front of us, we can give you the most accurate quote possible. We’d also be happy to swing by your location and take a look in person which will give us the best indication of what we’re dealing with. So reach out today. 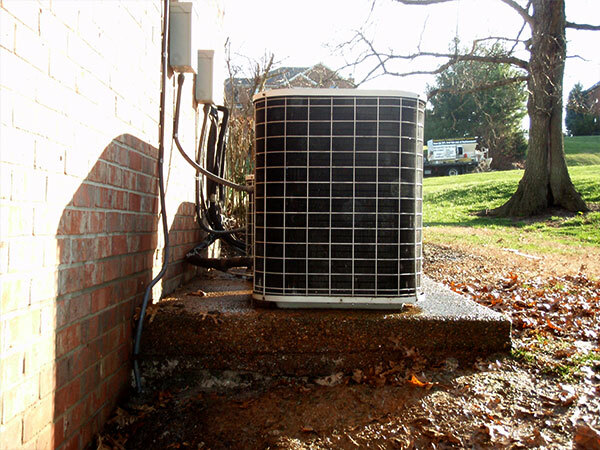 We’re looking forward to solving your problem–and saving you money in the process!